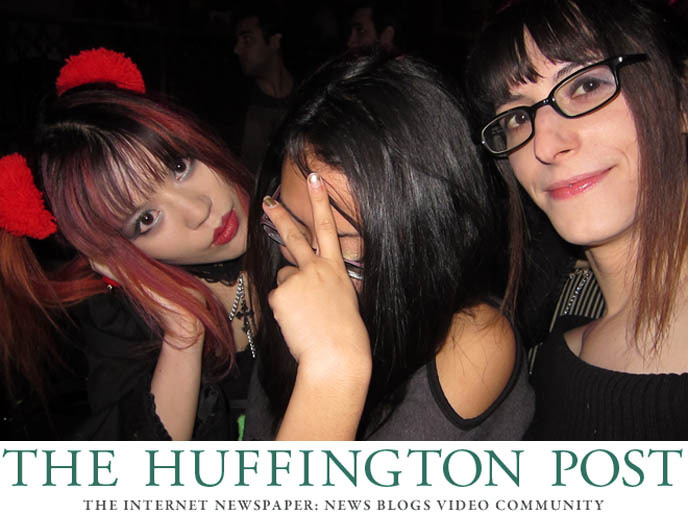 BLOGGING FOR HUFFINGTON POST! 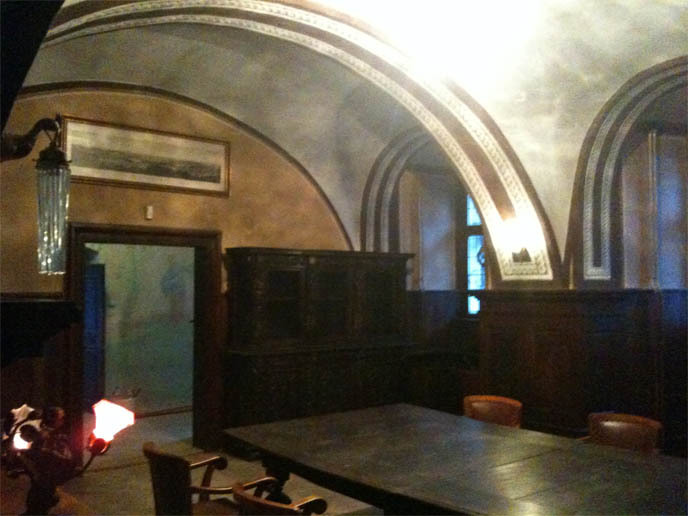 CRISPIN GLOVER’S CZECH CASTLE: INTERVIEW & INVITATION. HUFF POST TRAVEL & STYLE BLOGGER. Guess what, spooky kids? I’ve joined Huffington Post as a journalist! From this day forth, I’ll be a featured writer for the Huff Post Travel and Style sections. 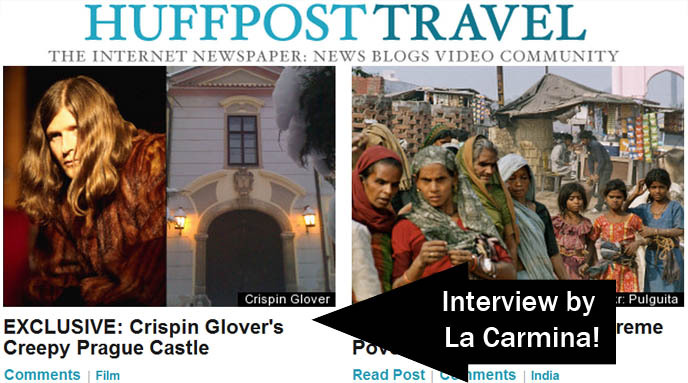 I’m very happy to be part of Huffington Post, since the publication welcomes strong opinions and alternative coverage. In addition to having Travel and Style blogs, I’ll be writing features for the site (meaning my work is posted and promoted on the front pages). 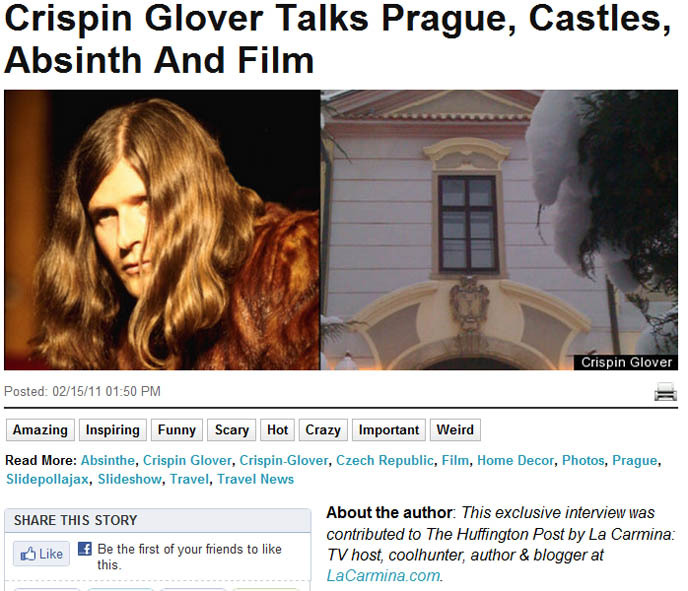 My debut for Huffington Post Travel… is an interview with Crispin Glover about his castle in the Czech Republic! The article is currently plastered on the front page. To make matters more exciting, Crispin invited me to visit his vast Renaissance-Baroque chateau near Prague… After seeing the photos and hearing about the rich history, I think I may have to take him up on this offer. You can read the interview on Huffington Post (it’s edited for length), and the full shebang below. Can’t wait to hear what you think. About the author: This exclusive interview was contributed to The Huffington Post by La Carmina: TV host, coolhunter, author & blogger at LaCarmina.com. He’s currently touring the first two films of his “IT Trilogy”, which react to the corporate restraints on filmmaking by putting unnerving imagery — Down’s Syndrome actors, Shirley Temple Nazis – up front. With this in mind, it’s not so strange to learn that Crispin Glover has a sprawling Renaissance-Baroque castle in the Czech Republic. Perhaps it even makes sense. After the last two dates of his UK film tour, Glover will isolate himself in his estate to focus on making films. He tells us about building a soundstage in the horse stables, his favorite ways to explore Prague, and his reservations about drinking too much absinthe. When did you first experience the Czech Republic? What drew you there? I had wanted to visit all countries that my great grandparents had heritage from. This is Germany, Sweden, England and Czech. I know that my mother’s grandparents on her father’s side spoke Czech, and my mother’s grandparents on her father’s side spoke German. My father’s grandparents on his mother’s side spoke Swedish and on his father’s side his grandparents spoke English. I was first in Prague from September 9-12, 2001. So the World Trade Center incident in the US happened when I was there for the first time. It was a strange place to be when that happened. I was supposed to travel back to LA via Paris originally on the 11th or 12th, but there were delays for international travel so I was there a bit longer. It was disturbing to fly internationally just a few days after that incident. On the flight back I kept looking on the flight navigation screen to make sure the plane did not make a hairpin turn. Tell me about your property near Prague. What’s the history behind it? Technically, what the Czech word for my property in that language is “zámek,” which translates as “lock” “castle” and “chateau”. My chateau’s official name is Zámek Konárovice. It was built in the 1600s in a quadratic structure that is basically now in a Renaissance style. In the 1700s the chateau was resurfaced in a Baroque style. There is no question that there were much earlier structures on the same place that the chateau exists and the structure in the 1600s was built utilizing these older structures. There are complex and varied architectural styles that reflect different times and tastes. There are hundreds of years of history of the aristocratic owners of the chateau that are written in Czech history books. Less is written in English, but I do know a fair amount about the property. Suffice to say for now that in the 1800s it was owned by Count Harrach. His main residence, Troja Chateau, was in Prague and is now open to the public and is quite a beautiful palace. A very interesting part of the history, which I found out only after I purchased it, was that Count Harrach was the patron to the father of Czech language opera, Bedrich Smetana. What is extra significant is that the room I use as my office turned out to be a room in which Smetana wrote one of his operas. I had been familiar with his music and loved some of his non-operatic work. It is a great pleasure to play his music when I am at the chateau. Another very interesting thing was discovered while I have been at the chateau. I was having the walls scraped in the room Smetana wrote in and it became apparent that there were remaining fresco patterns from the Baroque era. I have had these frescos restored whenever they have been discovered. Perhaps the oldest is in the largest meeting room of the chateau. On the walls of the main anti-room, which before the Baroque era was all part of the same room, were found remnants of a Chinese garden fresco. This has been restored as well. 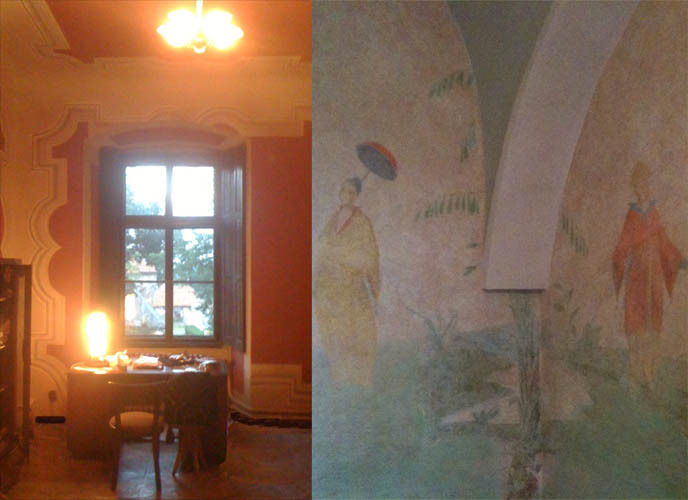 The longer I have owned the chateau and the more I have had restored the more I understand what needs to be done. It is a lifetime project that will be in continuous flux and repair for hundreds of years from now, as it has been the hundreds of years before I “owned” it. It is a strange perspective when “owning” it because it becomes apparent that I am merely the current caretaker of something that will be around for a very long time. A few years ago the Czech government stepped in and made me aware that the status of the chateau is that of an historical monument. There are certain guidelines I have to stick with. Luckily my genuine interest is to continue to restore it to proper historical accuracy so what they want me to do is what I want to do. It has actually been extremely educational. Can you give us a glimpse into your life in the Czech Republic? My property is a very large property and I will be maintaining it for my entire life. Most of the time when I am there has to do with meetings, business and maintenance, repair and restoration of the chateau and work for planning productions. I do enjoy going to Prague and enjoying the rich architecture, classical concerts, gardens and the general beauty of the city and of course dealing with business aspects that come up for my property. There is a woman that has worked at my chateau since 1976. Her name is Mrs. Stekla. She only speaks Czech. I pay her a monthly salary and she is a very important part of the day to day functioning, maintaining and restoration of the property and business that is consistently needed to be tended to when I am not there. The property I have is genuinely immense and sits on about 20 acres. When I first took possession of the property and I was alone there for the first times it was hard to believe that I was really in possession of this extremely elegant and stately place. I don’t mean to say that I take it for granted now, but I do consider it my second home, but a very different kind of home and existence than when I am at my home in Los Angeles. The Czech Republic is a very unusually beautiful country. I know I made excellent business and aesthetic decisions to purchase this property to continue making my films there. Where would you take visitors in the Czech Republic? The Czech Republic is one of the most architecturally diverse and pleasing countries in the world. It genuinely has a magical quality and finding tremendous examples of Romanesque, Gothic, Renaissance, Baroque, Neo Classical, Art Nouveau, and even Cubist architecture can be as easy as walking down a street or two. I would sit down with you and go through options as to what to see first. It would depend on how long you were in the Czech Republic as to what I would recommend to see first and in what order. I have to say I would be a good guide for interesting things in Prague and areas near my chateau also known as Central Bohemia. I have noticed that there are good patterns to kind of be guided by in Prague specifically, but the city has its own flow and it is important to let the city take care of you in its own time. It is a little difficult to explain, but when one lets the time of the city take you in its own pacing it is very magical. What other parts of the Czech Republic have you explored? I of course have been to Prague. My chateau is actually closer to Kutná Hora so I have been there many times. Kutná Hora was the second largest city to Prague in the Bohemian lands in the 1700s, and is one the many very beautiful UNESCO-listed cities in the Czech Republic. 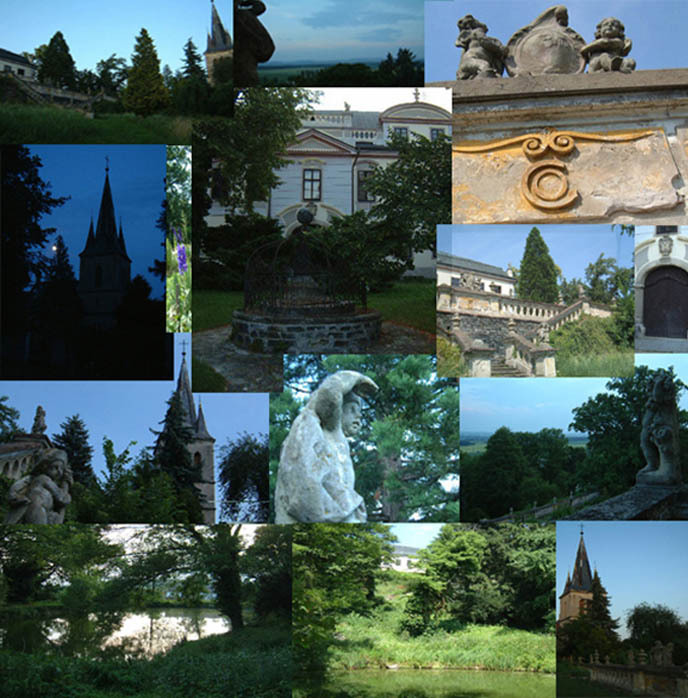 I have also been to Karlovy Vary and Mariánské Lázně so far. I want very much to go down to Český Krumlov and many other areas. The fact is when I am in the Czech Republic, I am I usually relatively busy at my property and have not gotten out as much as I should. I need to continue to explore more of the Czech lands especially now that know the language enough to get around much more easily than when I first took possession of the property. Having a better understanding of the language definitely help in the great pleasures that spending time in this country has to offer. You filmed your first two movies primarily in Salt Lake City. Why did you decide to build a soundstage on your Czech property to shoot the final instalment? My first film “What is it?” was shot in 13 days. Five of those days were shot in Salt Lake, and seven of those days were shot in Los Angeles. So I actually shot most of “What is it?” in Los Angeles. Most of the sets in “What is it?” were shot in Salt Lake. We shot part two of the trilogy, “It is fine! EVERYTHING IS FINE.” virtually entirely on sets in Salt Lake City. I had put most of the money I had made from the first Charlie’s Angels film into the production of “It is fine! EVERYTHING IS FINE.” Most of that money went into building the sets. They were built by David Brothers, with whom I co-directed the film. I am very proud of “It is fine! EVERYTHING IS FINE.” and the sets are not a small part of the excellent production value that I am proud of. Somewhere in the back of my mind while we were shooting, I felt that I could later re-purpose the sets for another production, but David Brothers lost the lease just at the end of production and the sets had to be destroyed within the day after we finished shooting. Main actor Steven C. Stuart was also having health issues and he died within a month after we finished shooting. I realized that if I wanted to continue shooting films on sets that I would need to own the property where I would build the sets so I would be able to repurpose the sets for various film projects. I wanted to purchase property somewhere that I liked. I had always planned to purchase property in LA. I did purchase my first house in LA in 1992. It is a 1927 built house in the Silverlake Hills overlooking Los Angeles proper. I always thought that I would purchase an apartment somewhere in Manhattan second. I was born in Manhattan at Lenox Hill hospital and my initial memories of life are of that city, and I still do think of that city as where I am from despite having grown up mostly in Los Angeles. I figured I would purchase something somewhere in Europe third and perhaps later in life. The order changed because I needed a lot of space and certainly purchasing in NYC would make no sense. I thought perhaps I could purchase a house with a large barn somewhere in upstate NY and then get a place in NYC. But that did not even make a lot of sense and I could tell the NYC was in the high end of the market. I was working on a screenplay for a producer based in Prague and told him what I was thinking about. He said that he had just read an article about a realtor that specialized in Czech chateaus and that they were going for a good price. As soon as he said this I knew this is what I was going to do. I was in Prague within two months and went with this realtor to see four chateaus within an hour’s driving proximity of Prague. All the chateaus I looked at were interesting for various reasons but there was only one that had structures and land available that could be used to house sets. After a number of months of negotiations and legal necessity I came into possession of the chateau. Within three years I purchased other buildings in three separate purchases that were the former horse stables for the chateau. These buildings had to be refurbished with new roofs and cement floors and electrical work, and now serve as places for me to build sets for future productions. Can you tell me about your third film? Will you be working with local actors? I should not go in to detail for “IT IS MINE.” yet. There are other projects outside of the trilogy that I will shoot next. The Czech Republic is another culture and another language. “IT IS MINE.” is an even more complex project than the first films, so it will be a while yet for that production. I will step outside of the trilogy for a number of films that deal with different thematic elements. I am in the process of writing a screenplay for myself and my father to act in together. He is also an actor and that will be the next film I make as a director/producer. This will be the first role I write for myself to act in that will be written as an acting role as opposed to a role that was written for the character I play to merely serve the structure. But even still on some level I am writing the screenplay to be something that I can afford to make. There is another project that I may make before that I am currently working on the screenplay that may be even more affordable, yet still cinematically pleasing. What is Prague’s film scene like? Do you have any favorite Czech filmmakers? When I work at my property in the Czech Republic I am relatively isolated from any sort of social elements going on in Prague. I have not gone to any Czech language theater as my Czech is not fluent enough to know what is going on. Barrandov Studios in Prague is the largest film studio in Europe and there are many well trained technicians in the area. I have worked with Milos Forman, who may be the most well-known Czech filmmaker. I loved working with him and my favorite film by him is his triumphant exit from the former Czechoslovakia with The Fireman’s Ball from 1967. I love many of Jan Svankmajer’s films as well, and Valerie and Her Week of Wonders (1970) by Jaromil Jires is a very intriguing Czech film. Are you an absinthe aficionado? I have tasted many absinthes and some of the Spanish absinthes are my favorites. I hate to sound preachy about it, but I do attempt high health standards for myself and I did notice that absinthe can have negative effect on memory and it is very rare that I will drink it now. I think all alcohol can have negative effects on memory in high dosages, but I think there is something contained in absinthe that may have even more negative effects on memory than many other alcohol beverages. I do think people should approach absinthe with caution in large amounts over a long-term period. I doubt people would notice any negative affect from drinking absinthe moderately a few times, but cumulatively I believe it could cause memory damage, and there may have been serious negative population health effects when it was at its most popular, and that is very likely why it was banned in many places for such a long time. Now that it is not so widely imbibed the negative effects are less visible, but I do think people should be cautious about long term and large amounts of drinking for any alcohol beverages, with perhaps even a little more caution about absinthe. That being said I do find the effect absinthe has to be the most pleasant effect of any alcohol beverage, but I really limit the amount I will drink of it and it has to be a very special occasion. Crispin Hellion Glover is currently on tour in the UK. Each marathon event consists of a Slide Show (dramatic narration of eight of his illustrated books), film screening, Q & A session, and book signing. Here is a report and photos from his Vancouver, Canada stop. The next shows are in Glasgow, Scotland on February 16, and Wolverhampton, England on February 17. Full details are on his official website. Do you read Huffington Post? Got suggestions for travel or style stories? Leave a comment letting me know your ideas and feedback! What to wear in Greece: Silver Goth babydoll dress! Pi Athens Hotel Suites, Aegean Airlines, Iron Fist Clothing. Well done – what a gig! I’d love to join you as a #HuffPo blogger. How did you get the gig? Any tips? DM me if so. Thanks! Thanks!! Hope you guys like the interview – more coverage like this to come! I MUST, I MUST go haahh! Wow! Awesomeoness on all accounts. That’s so exciting! I hope you do get to go to Prague, that sounds so awesome! Prague is a beautiful town…. ! I’m soooooooooooooooo happy for you!!! Congrats!!! Congrats! I wish you lots of luck! Congratulations on your work with Huffington Post!!! I just read your interview. Well done, interesting to read and not a mention of the all popular “Why are you so weird?” vibe other interviewers give off. He is and has been for a long time one of my favorite performers (“I hate you, clown.”) so it was nice to see this down to business side of him. Thanks, I really appreciate your words! Great Article! Nice to see an inverview that avoids the standard hollywood interview! You need to go to the castle! congrats for joining Huffington Post!!! you rock ^^ I didn’t know Crispin Glover had a castle in CZ! the IV must have been epic! Ur getting famous girl!!! ^__^!! The answer under “Tell me about your property near Prague. What’s the history behind it?” has several paragraphs repeated twice, you should proofread that. I am dying to visit Prague! One of the places I most want to go.